Happy Friday! I am so looking forward to the weekend after the busiest week of after-work events. It looks like a tornado recently ripped through my apartment, and I can barely walk through my closet since the majority of my wardrobe is on the floor. 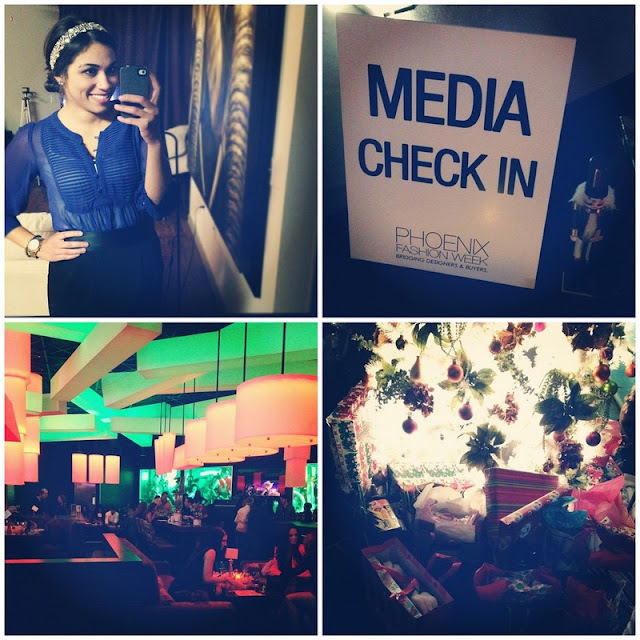 Last night I attended Phoenix Fashion Week's annual charity gala, Fashion Gives Back, with my friend Kara. The event benefitted local non-profit, Arizona Helping Hands, which aims to help underprivileged and struggling families get the resources they needs to enrich their child's life. Guests were asked to donate new toys, gently used clothing and gift cards, and from the look of the pile that had accumulated by the door, there are going to be some very happy kids in AZ this Christmas. The whole thing gave me chills. And now some Friday links, holiday gift edition! For your pregnant lady friends, these sweet headbands for baby. For your stylish friends, a beautiful clutch for evening events // via oh joy! For your geek/chic friends, pantone Christmas tree ornaments. For your instagram obsessed friends, this mini smartphone lens. And finally, for yourself, this beautiful gold ring.